It is good to pass time but its profitable to to get busy. 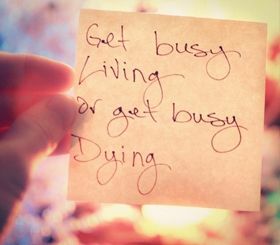 There's no such thing as being too busy. If you really want something, you'll make time for it. No one is ever too busy. Life is about managing your priorities, and doing the things you love. Busy is only good, if there is progress involved.